NEW GAME OUT NOW! 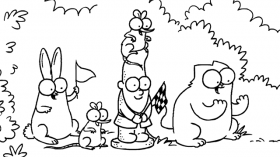 SIMON’S CAT – CRUNCH TIME. 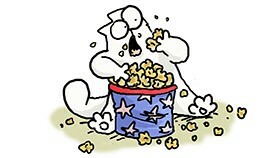 The devilish crows have swiped Simon’s Cat’s favourite treats and YOU can help him find them!. 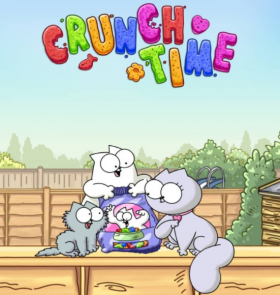 Play our FREE GAME Crunch Time on iOS, Android, Amazon. 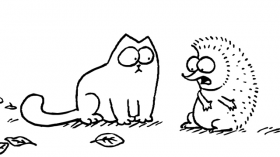 In the Simon’s Cat universe the Kitten is everyone’s favorite! 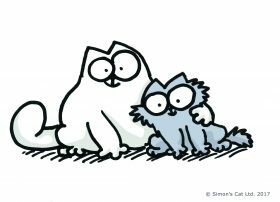 Simon’s Cat & Kitten are a handful but you can’t help but love them. Read more here. 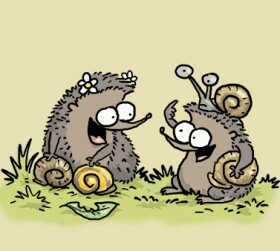 In the Simon’s Cat universe hedgehogs are everyone’s favorite friend! Simon’s Cat & Kitten love hanging out with those cuties. Learn more about these adorable creatures here. We have added all the Simon’s Cat films to a playlist so you can watch them back to back! So grab some popcorn and get comfortable. Enjoy! 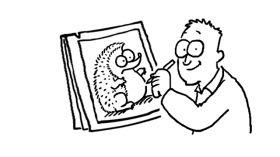 In this video, Simon Tofield demonstrates how to draw hedgehogs.